After 40 years of marriage, Gloria Ward learned her place in the marriage relationship. She began to be obedient to God’s purpose for her and every married woman. His Word states wives must submit to their husbands as unto the Lord Jesus Christ—not grudgingly, not complaining, but rather in reverence and adoration. They are to accept, honor, and respect their husbands’ leadership. God intended for a woman to complement the man, to be taken care of, to be virtuous and godly, to be their husbands’ glory, to be the sole bearers of the seed—regardless of whether their husbands are operating in their rightful position. When Gloria Ward made God’s plan her goal in marriage, love, peace, and happiness abounded. She and her husband, David, began to receive answers to prayers. The blessings began to overflow in their lives. 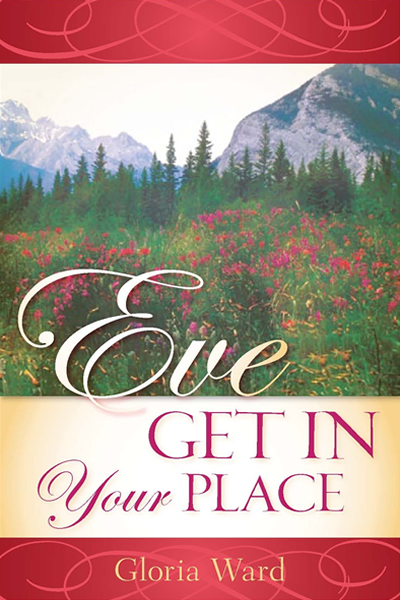 Eve, Get in Your Place is a wake-up call for us women to operate in the position God has purposed and, ultimately, in obedience to Him. So take your place and trust the Lord to lead your every step. See what can happen in your life. SEQUEL - Adam, Take Your Position now available!